This guide was originally posted on Jobstart and is written for the growing number of startup employees who help make the wheels of innovation spin and rarely get enough credit. Before we get into the large number of warning signs it might be time to leave a startup company let’s first set some expectations. All startups have problems — 90% of all startups fail and even the successful ones tend to hit multiple “near death” events along their path. It is at least to some extent the duty of a startup employee to know the challenges before going in and not bail on a company before they’ve given it a chance to correct course. A decision to leave your startup ultimately comes down to balancing your belief in the company against the myriad of problems you’ll face. If only a couple problems below sound like they’re a match, over-communicate and get them fixed. If you resonate with a large number of the warning signs below, the writing might already be on the wall. Our coaches at Jobstart interact with people leaving their startups on a daily basis. The most common thing we hear? “I wish I left 6 months ago”. We hope the warning signs below will help you assess your own situation. When you work at a startup you should know how many total outstanding shares there are. Heck, you should know these numbers before signing an offer letter, else you don’t know the % equity you were granted! If the financials are under strict lock-and-key, that’s a warning sign there is something to hide. Good, so you know how many shares you have and how many are outstanding? Make sure you get updates when the company goes through funding rounds! Most companies that perform well should be able to raise money without heavy dilution. Heavy dilution occurs when investors think your company is good enough to back, but not good enough to give great investment terms. On paper, your shares will be worth the same amount of money, but heavy dilution is a warning nonetheless. When Founders Fund raised money, they set a hard deadline for their investors: tell us tomorrow or you’re not in. They raised a billion dollars and were able to do it because investors wanted in so badly. When a company is “stuck” in fundraising mode, that means the fundraiser is having difficulty. The average seed round takes ~2 months to close while the average Series A can take 3–5 months. If your company is always in fundraising mode and you’re not closing impressive investors, the money might be running out! The goal of a startup is to find a reproducible, scalable business model. If a large amount of money is exiting the company but growth isn’t being hyper-charged by it, that might be a warning flag. Eventually overspending leads to having to raise more money before it’s ideal, which leads to the things above… heavy dilution, indefinite fundraising mode, etc. Some startups say “we’ll worry about making money later”. That’s ok as long as 1) you have a good plan to make money later, 2) your user growth is stellar, and 3) your investors like that your user growth is stellar. If the plan to make money is unclear, you might be building a house of cards. Product/Market fit is fragile and many times core product functionality must change to monetize the business. If the free nature of that core product function was a key aspect of the market fit, then companies can end up in hot water. Unit economics — the business efficiencies of handling a transaction or customer — are often overlooked by startups. It’s so bad in fact that Sam Altman, President of YC wrote ablog post about this entire trend. At the end of the day, if the business model doesn’t make enough money and the company has invested in hyper-growth for a while, they’re going to hit a serious wall. The importance of talking to your users cannot go understated. This is more true the earlier stage the company — if you’re a seed-funded or Series A company, most employees should know what their users think and be able to do something about it. Relying on other sources of information for direction just isn’t as effective. Startups are all about growth or the promise of future growth. Later stage companies can get away with less, but seed stage should aim for more — people say roughly 10% week over week in one primary metric. If you don’t know your week over week growth and people don’t care, that’s worrying. Rocketship companies spread quickly because they built something 10x better than anyone else. When you build something that good, people tell their friends about it and you grow. This is referral-based growth — aka “organic” growth. If you have to pay people to use your product it’s probably not sticky. There is a single exception here, and that is if your unit economics are healthy: spending $20 to acquire a user is ok if, on average, they pay you back $30 within a couple months. These are all too easy to mix up but lead to startups chasing their tail — they think they’re onto something, but it’s not reality! Obviously dangerous. Make sure assumptions are scrutinized and tested. After all, when you learn something and are confident in that learning, it’s a great feeling. Startups only live when the team is working together efficiently. The foundations for an efficient team are a clear roadmap and shared feeling of ownership. A roadmap is made clear when it is communicated properly and areas of difficulty are discussed. In all too many situations, people fail to communicate and hit roadblocks that could have been avoided. When companies fall behind, management tends to get nervous and start setting completely unrealistic expectations. Life is too short to not build something you believe in. If you think you’re building a clunky piece of software or that the design is terribly off, it’s probably worth your sanity to move on. This point is also important for your future career: when people look at your old work, you want them to see something of quality. Every moment you’re building something less than your capability, you’re selling yourself short. This is the slipperiest slope of them all! “A players” — people who will dramatically improve the companies odds of success — like working with other A players. B or C players are usually introduced because a startup is too resource constrained and simply needs to get work done. Over time though, they end up hiring other B and C players. Before you know it, the A players have gotten aggravated, left the company, and now everyone is mediocre. If you notice your company has lowered the hiring bar, it’s a sign of future things to come. All C-level “executives” should display strong leadership skills. You should enjoy working with them and feel like you’re learning when around them. Everyone has their weaknesses, but all too frequently startup employees will underestimate the importance of having a strong CEO. If your CEO tends to make you cringe, misrepresent the product, or display a lack of vision — run! When one person isn’t pulling their weight, they should know it and fix it. When multiple people aren’t pulling their weight, you have a systemic problem with your culture. Cultural problems are extremely difficult to solve. Even the best COOs and inspirational CEOs struggle to fix ingrained habits. Viral laziness is probably the deadliest of them all since it stems from a lack of respect or self-motivation. Although Silicon Valley tends to think of meetings as the epitome of evil, they can certainly be productive. You just have to have the right amount of them and talk about important things. This seems like common sense but when people call meeting after meeting, discuss the same things over and over, or change strategies repeatedly, efficiency suffers greatly. This issue can be resolved if operationally-minded people address is and put in structure for decision-making, but all too often employees treat it as an unsolvable issue. Although obvious, this one stealthily creeps into startups over time. Deadlines only have meaning if people take them seriously. This warning creeps in 1) by people joining the company with an already lax stance on deadlines or 2) by deadlines being missed over and over until people become numb. When you accept failure, in a way you’ve already quit on your company. Startups deal with tens of problems daily. They stack up quickly if they’re not solved promptly or triaged effectively. If you’re dealing with the same problems over and over again, not only is the team unable to actually solve it, but there’s also a growing mound that’s lurking in the shadows. No on can succeed and solve highly complex problems by themselves. It’s surprising how quickly politics can enter a startup’s culture: when one person gets successfully outmaneuvered or “stabbed in the back”, other people start thinking they can do the same. If your boss is the C-level and isn’t taking the time to understand you, that’s weak leadership and you can refer to #8 above. If your boss is not, then it’s unlikely they’re getting proper mentorship or coaching to become a better manager. Most managers aren’t very great and if you complain, you’re putting yourself directly in a line of fire. That being said, talking to your boss frankly and letting them try to resolve the issue is a good option before throwing in the towel. If you’re not having fun at your startup, you’re doing it wrong! Startups are supposed to excite you. By being at a startup, you’re sacrificing stability for the sake of freedom and a higher rate of learning. If you find neither freedom or the rate of learning fun, you’re not meant for startups. If your love for freedom & learning is overpowered by your fear of failure, you’re probably in too early-stage a startup. There are many engineers who end up taking startup jobs that use outdated stacks and technologies. If you take a job working on PHP/Zend right now, you’re not optimizing to land a great engineering job 3 years from now. 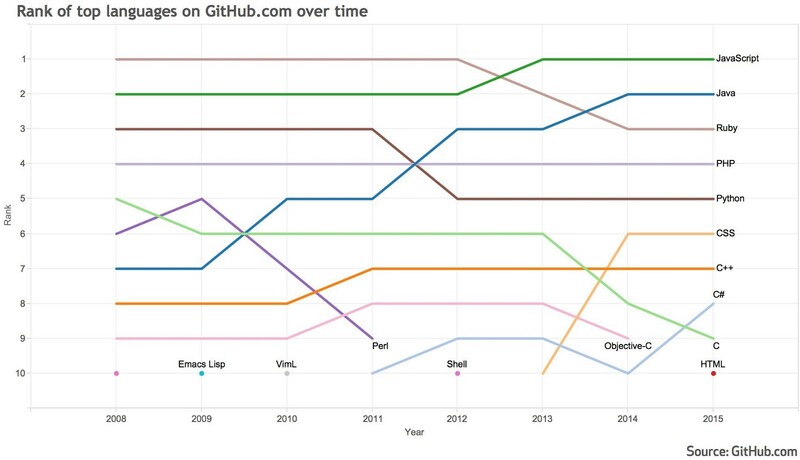 Top engineers in the valley just don’t work on PHP very often anymore. React is an example of something to learn right now. Companies are gobbling up engineers who develop in React. Learning new things not only shows that you’re nimble, but also that you’re passionate! You should be confident enough in your company to make your friends come onboard. If you’re hesitant and don’t think they could handle the culture or number of broken things, perhaps you’re putting yourself in their shoes. It’s odd how many people ignore this warning in their own thoughts. Hey — the world’s not going to end if you don’t get all of those things done this week, right? Technically the world will likely be ok, but if you’re at a startup and have this mentality, you could have it way better somewhere else. Find a place where you’re so passionate you feel like you want to be productive. Find a place where you want to impress your co-workers and get things done! “Market” value is a bit hazy. Startups are unlikely to offer you 160k the way Google or Facebook do, but it’s illogical how many good engineers accept salaries below 75k. Startups that make these low-ball offers will attempt to hype up their equity packages as magical entities of cash creation. Don’t fall for it. In a seed stage company, assume your equity is going to be worth something minimal and take the job because you believe in the mission. Stock is usually given in the form of options. That means you have to exercise the options when you leave the company, which can end up costing tens of thousands of dollars. Most engineers will never see any real value out of their stock and those that do only see it because the company grew immensely and either sold or IPO’d. The back of your mind saying “Oh wow, that one company’s software looks so cool. I wish I could work on something like that.” You can! Go apply to that company instead. Everything is subjective and no company is alike. These are meant to be general rules of thumb — you should ultimately weigh any career decision heavily and get personal input on the matter from multiple sources. If you’re thinking about finding a new startup, we recommend you read the next guide in our 4 part series: “Your Next Job: Finding a Startup You’ll Love”. Personal, expert guidance to land your next software job.